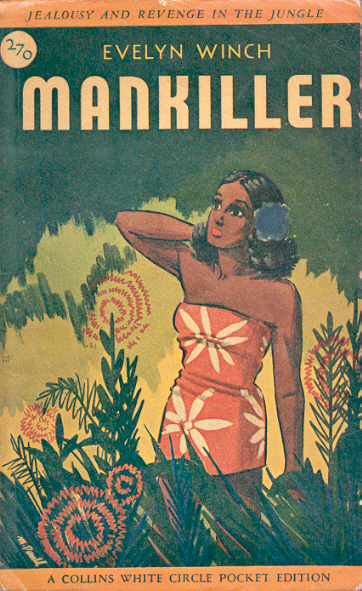 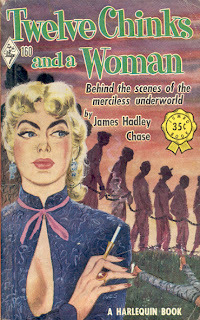 Here are covers 58 through 62 (total 67) illustrated by Margaret Paull for Wm. 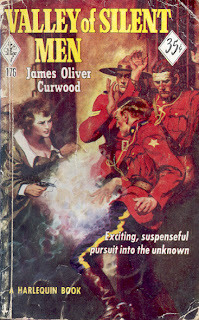 Collins Sons & Co. Canada's early Canadian paperback imprint White Circle. 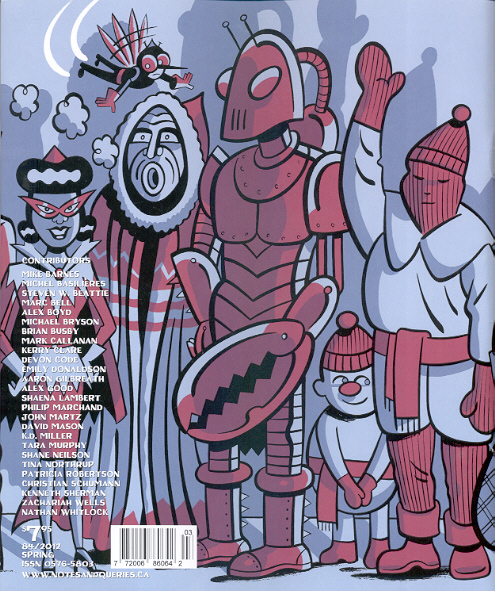 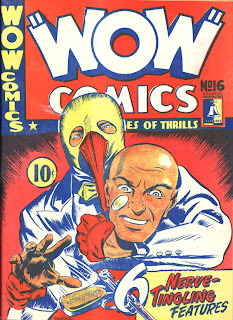 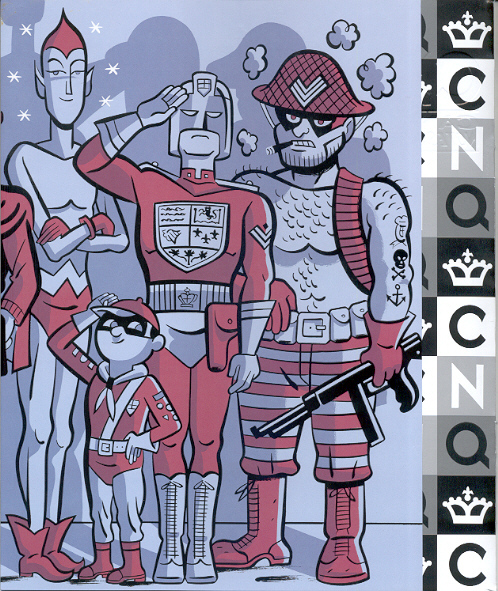 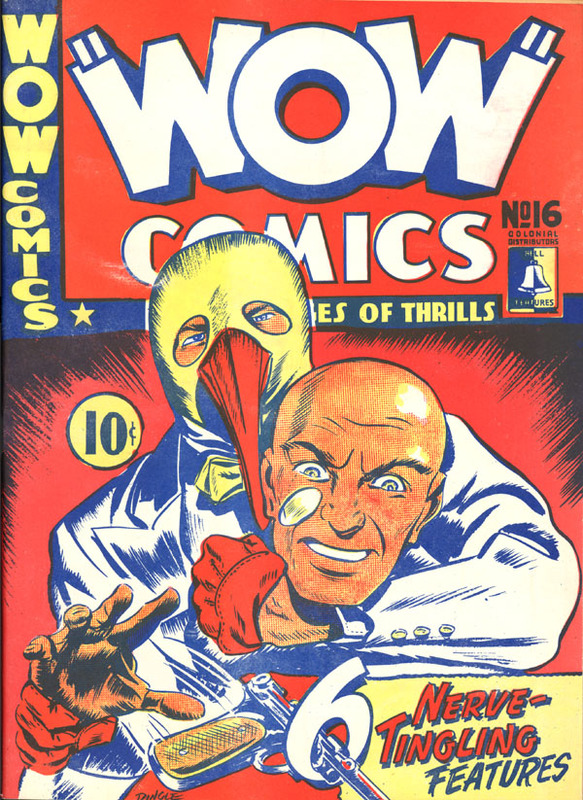 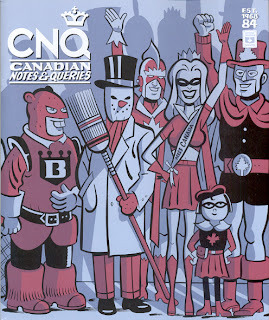 In my last post I discussed Adrian Dingle and his work for Bell Features and Publishing, including two superheroes he created - the Penguin and Nelvana. 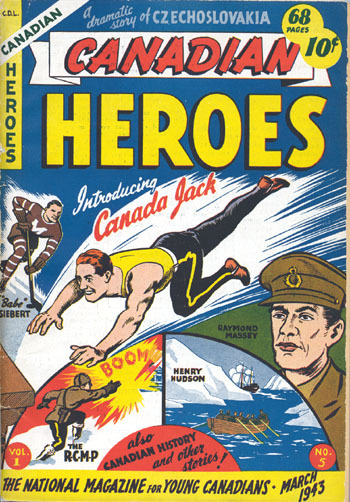 Here's a non-Dingle hero - Canada Jack, who looks like a young Henry Kissinger. There are many other early superheroes and we have the great Canadian artist Seth to thank for keeping their memory alive. 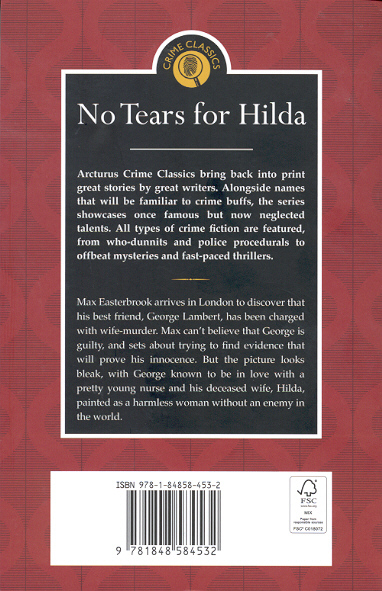 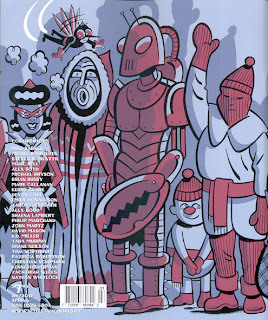 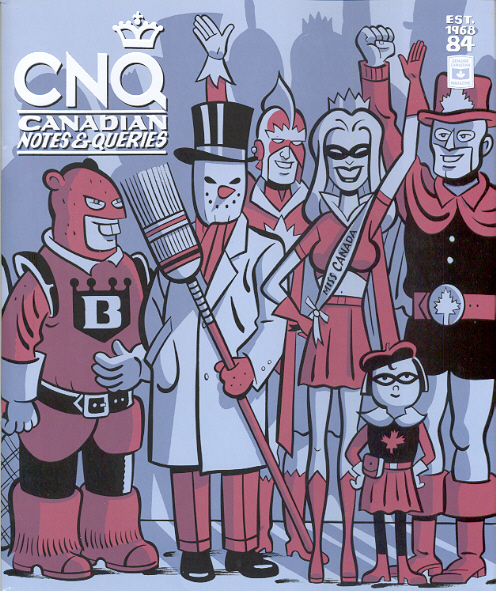 Here is his cover from the latest issue of Canadian Notes & Queries. 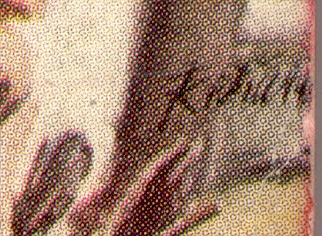 The signatures of two artists are found on some of the 17 books published by Toronto's Bell Features and Publishing in 1945 and 1946. The best known is Adrian Dingle (1911 - 1974). Dingle started his career in comics, then onto magazine illustration and fine art. 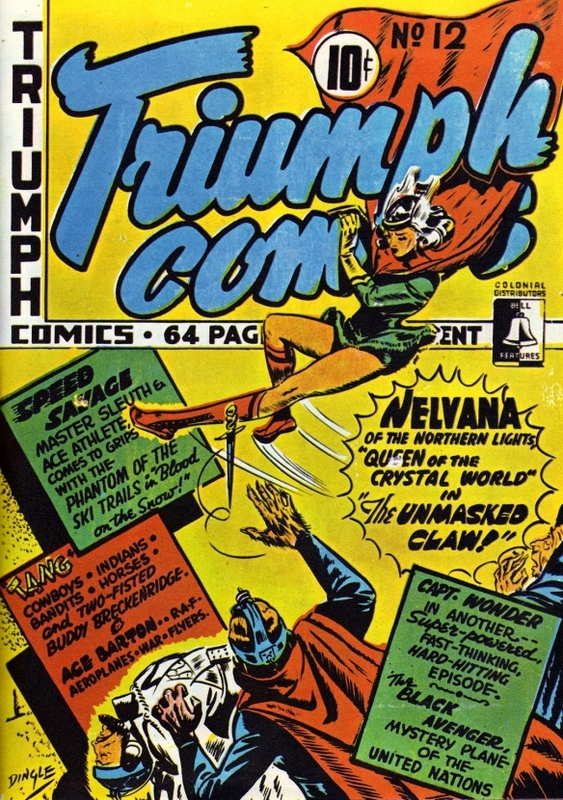 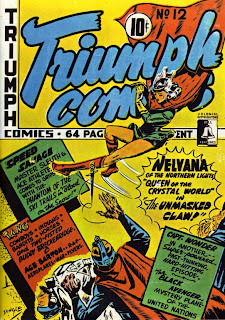 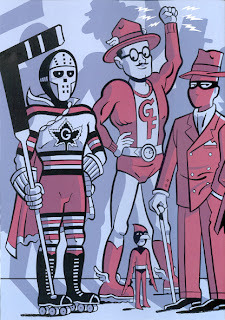 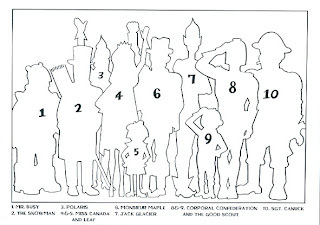 Below are two of his Canadian superheroes from 1942 - the Penguin and Nelvana. 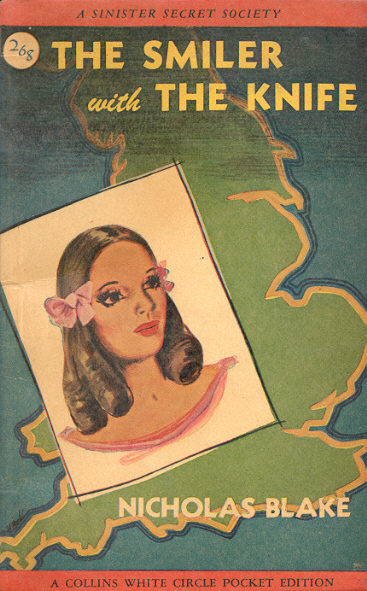 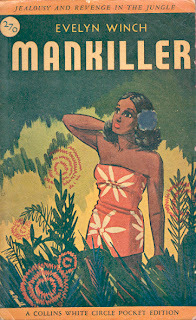 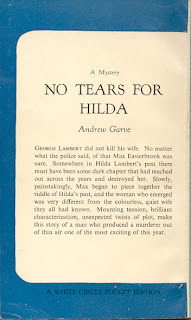 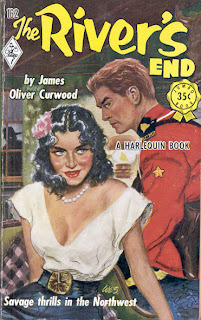 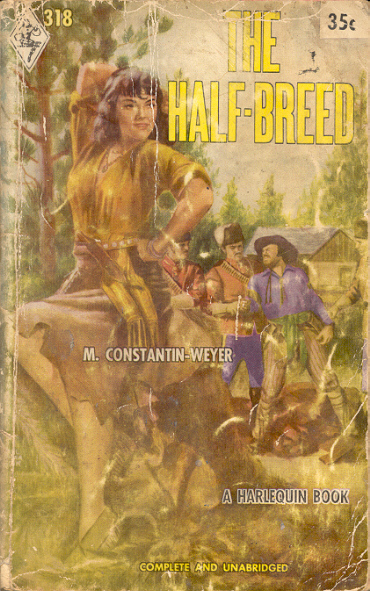 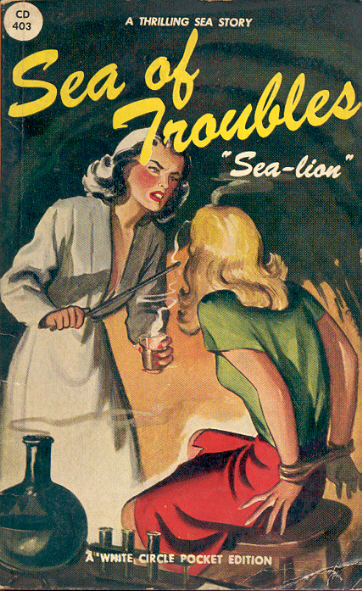 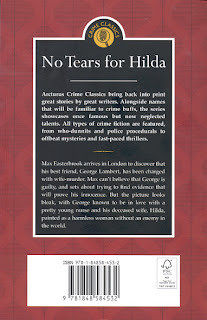 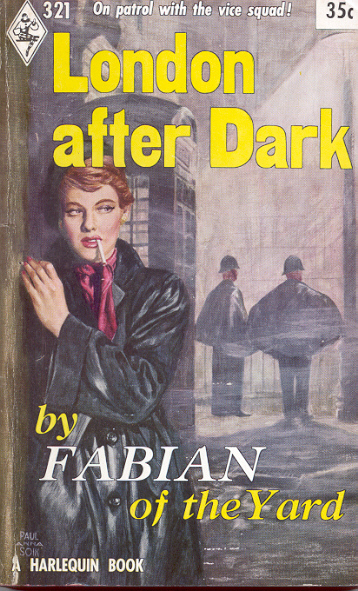 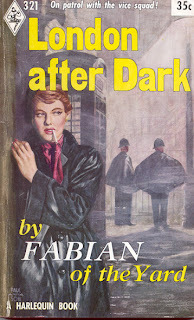 In this series of posts on bowdlerized titles I've shown Harlequin and Export Publishing Enterprises examples as well as some from smaller early Canadian paperback publishers. 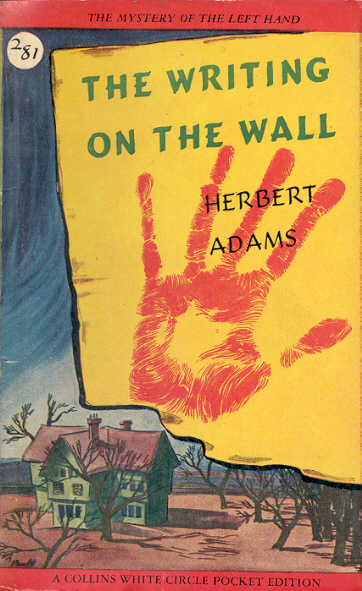 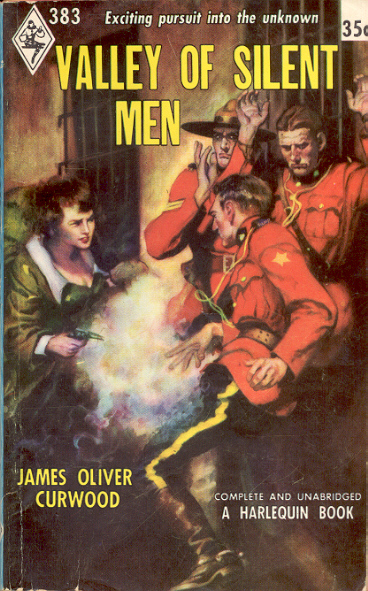 This is the first one from the third large early paperback publisher in Canada - Wm. 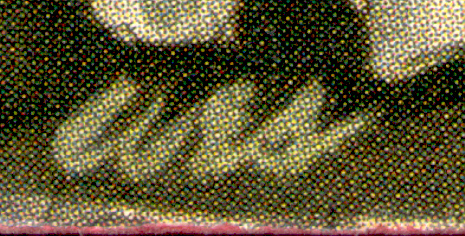 Collins Sons & Co. Canada and their White Circle imprint. 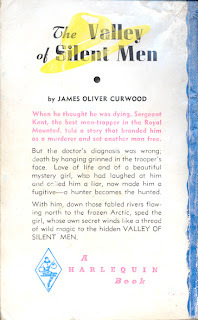 It surprises me how unsubtle the cuts are - the entire (27 pages in the Arcturus edition) first chapter is gone. 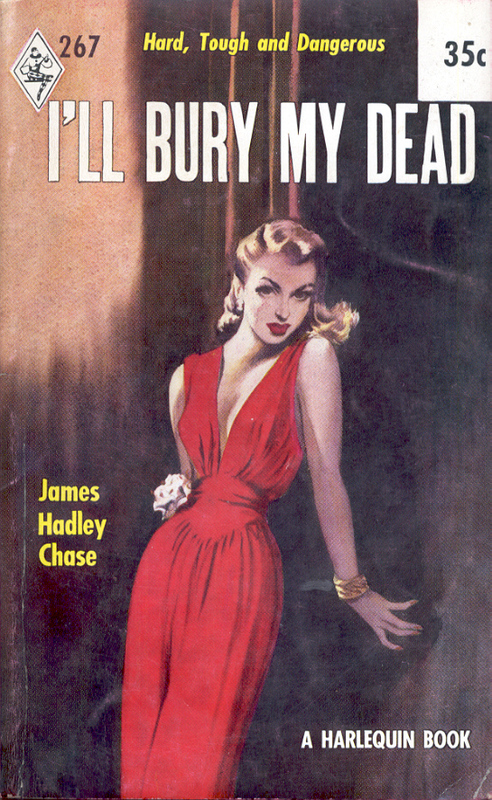 I haven't read the book yet but hard to imagine the first chapter of a mystery doesn't matter. 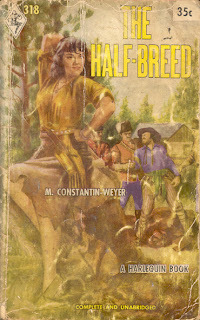 The US paperback version from Dell states "complete and unabridged". 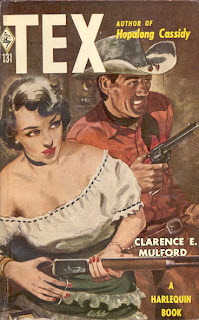 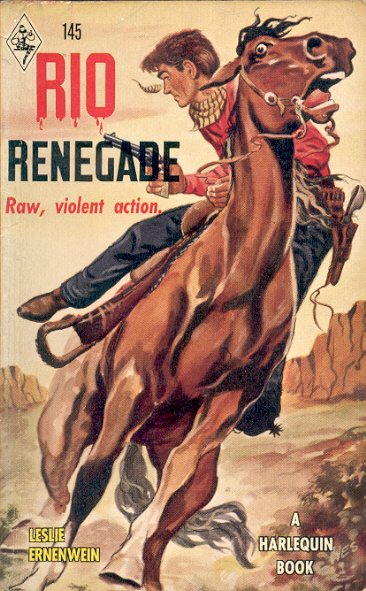 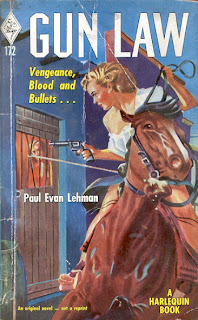 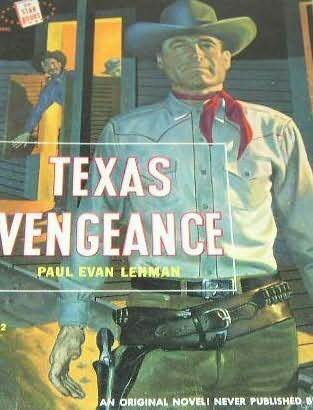 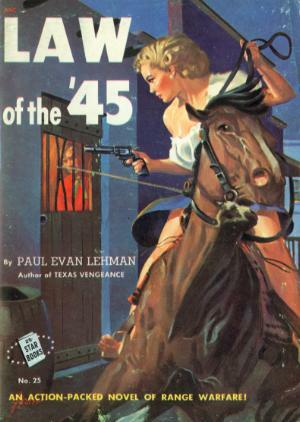 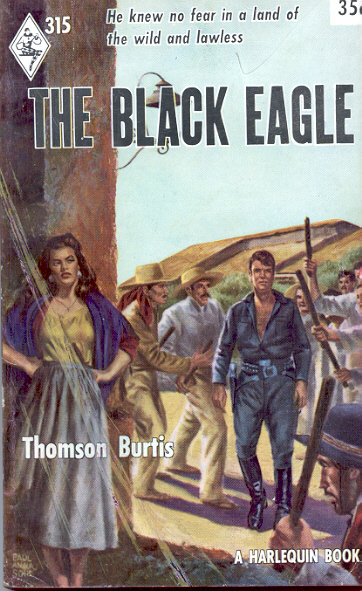 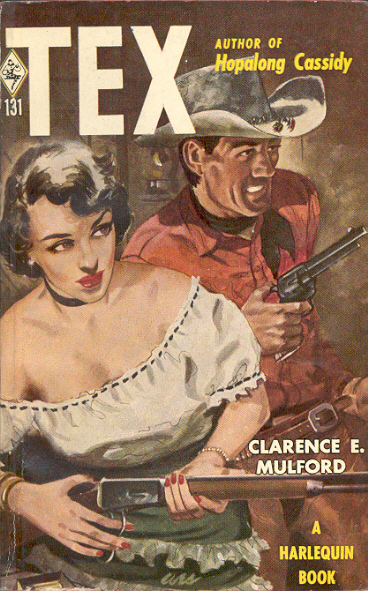 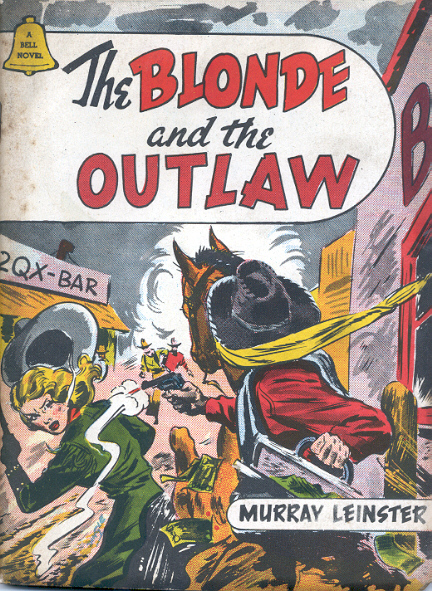 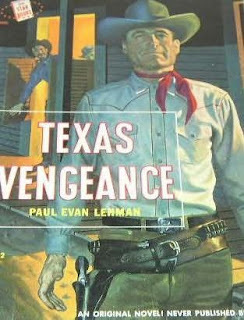 New York publisher Star Guidance published Texas Vengeance in 1951 as Star Books 22. 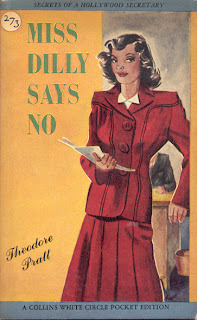 In 1952 Harlequin Books brought out their edition in Canada under a different title, one of 85 changed titles published between 1949 and 1959. 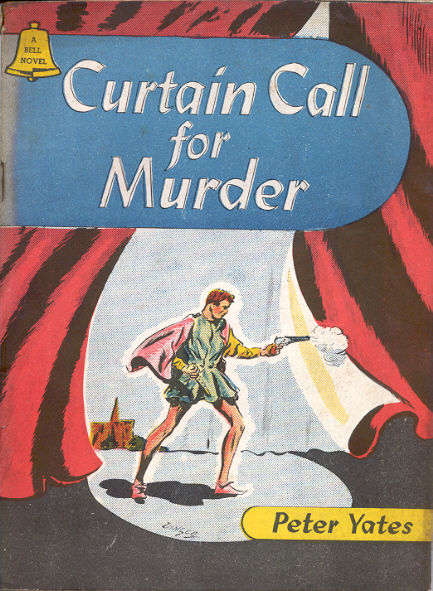 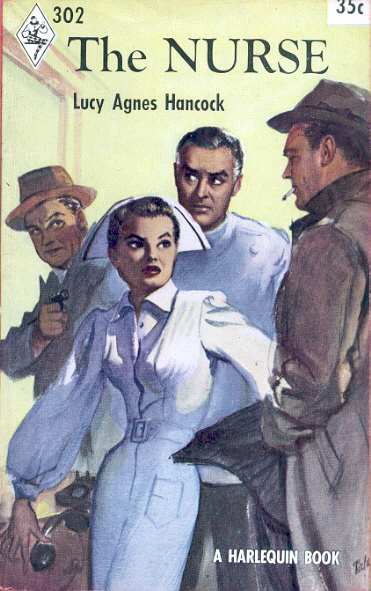 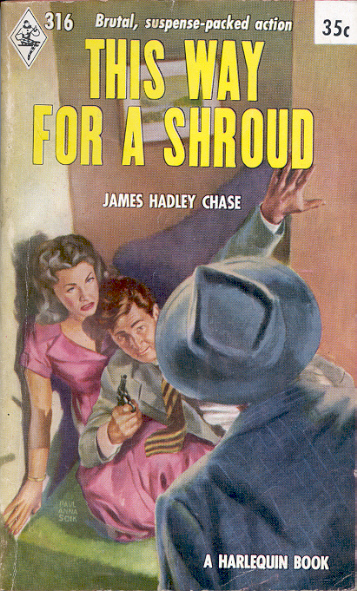 Gun Law's cover is from yet another Star Guidance book, Law of the '45, which was also published by Harlequin without changing the title and with an original cover. 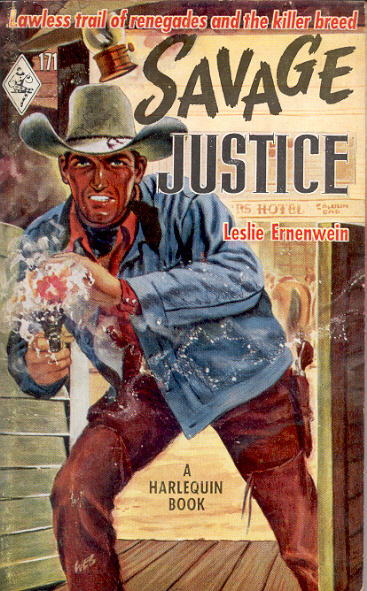 Here are the last three of Wes Chapman's six signed covers for Harlequin Books. 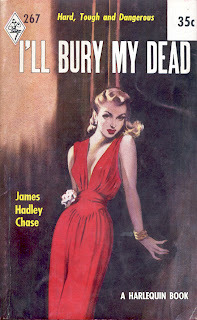 We first met artist Wes Chapman here with three covers he did for Export Publishing Enterprises. 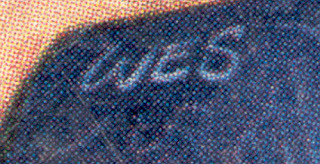 His signature is also seen on six Harlequins from 1951 and 1952. 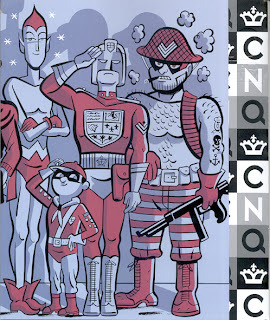 Here are the first three. "... the pocketbook takes the hex out of culture. 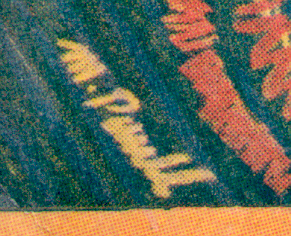 In our particular milieu, it is a new form of communication." 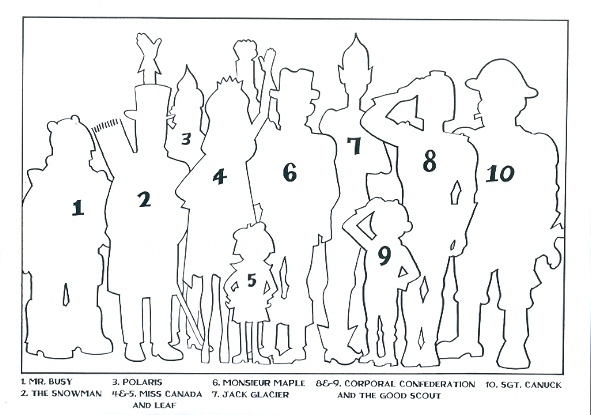 It's clear to me that McLuhan was a big fan of early Harlequins. 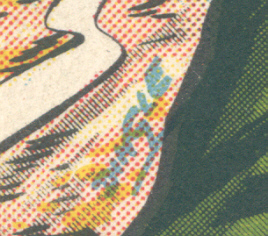 Well maybe not so clear but given the above it's likely he saw and picked up a Harlequin or two at the news stand or drug store around the corner from where he lived or down the street from his University office. 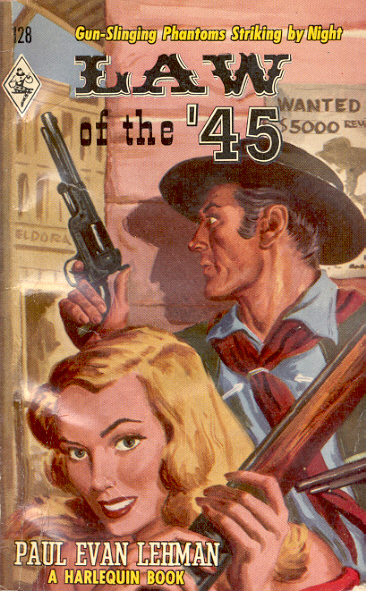 Here are few from 1954 he may have seen. 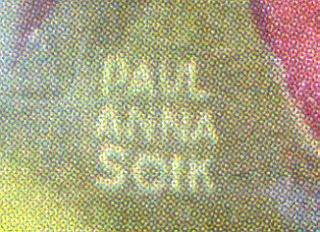 Since I've started this series of posts on early Harlequin artist Paul Anna Soik some information on him has found its way to the Internet. 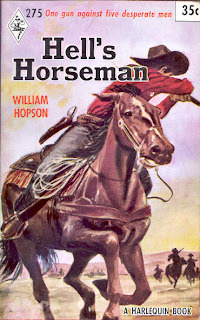 He was born (1919) and died (1999) in New Jersey and served in the American Armed Forces during WWII. 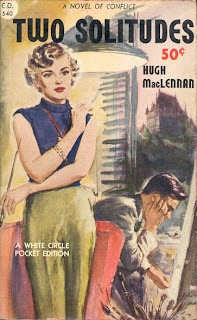 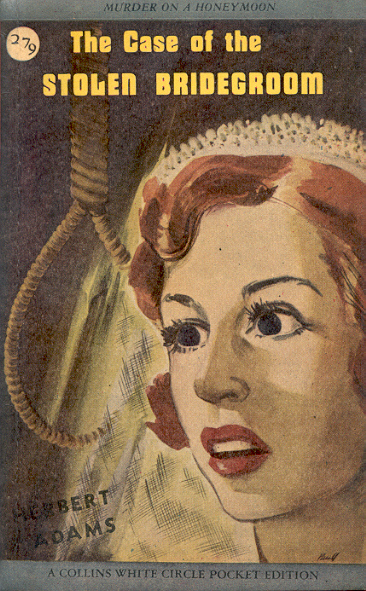 He started working for Harlequin in 1954, illustrating 90 covers before the end of 1959 and many after, and attended the Ontario College of Art in Toronto in the 1950s. 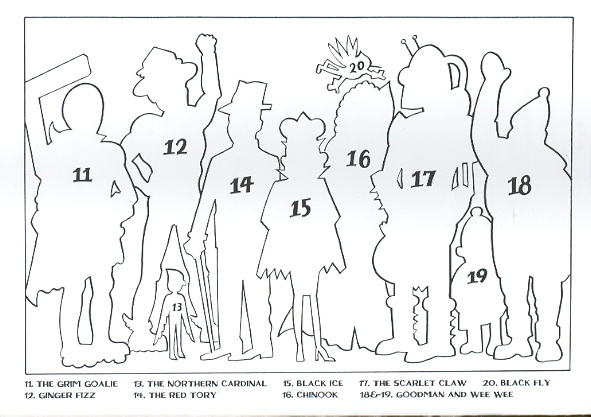 Here are covers 16 through 20. 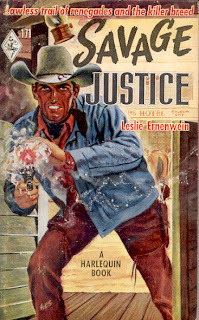 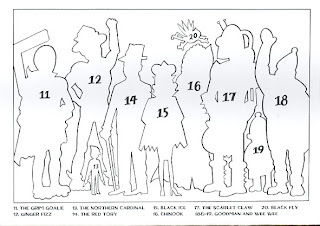 I've been working through the 19 titles that Harlequin reprinted as new numbers in the series from 1949 to 1959. 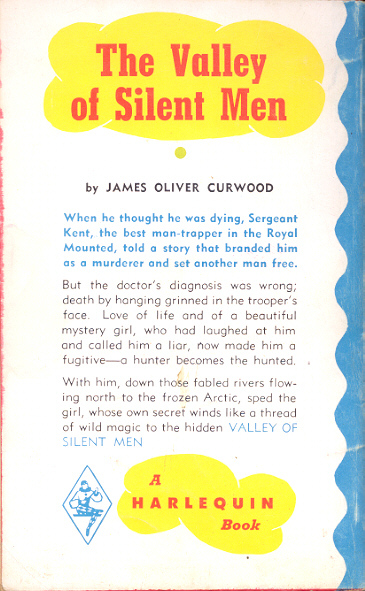 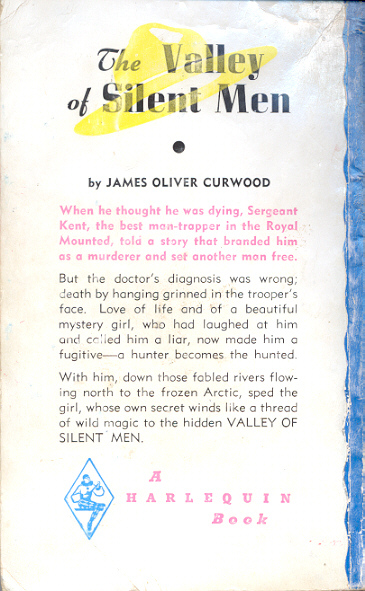 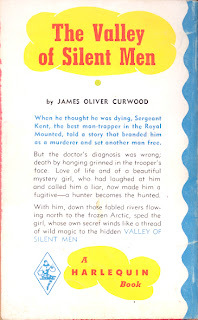 The Valley of Silent Men is the one title that was reset with 184 pages of text in the 1957 edition versus 216 pages in the 1952 one. So technically not a reprint. 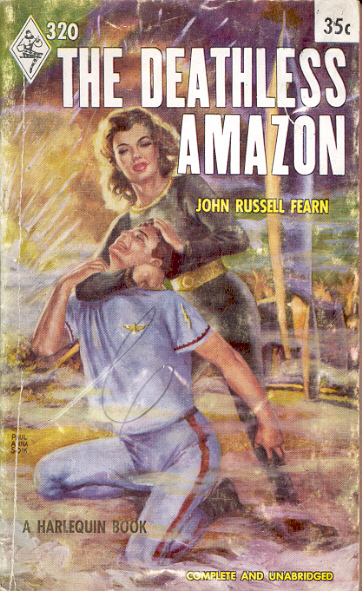 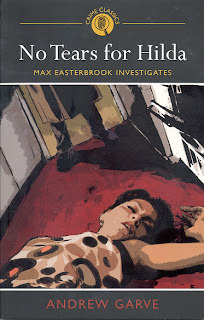 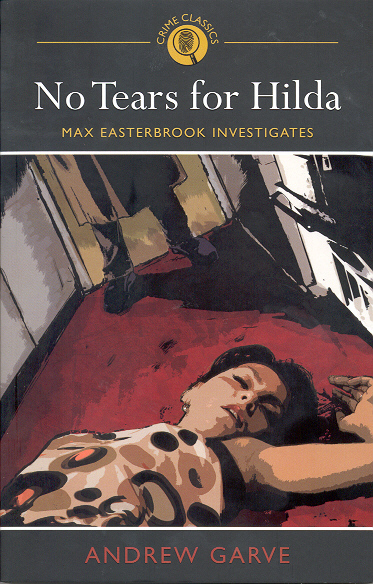 The same cover art was used but front, spine, and back cover details are different. 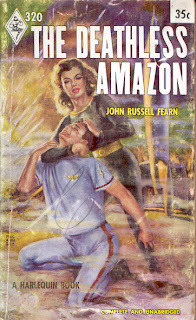 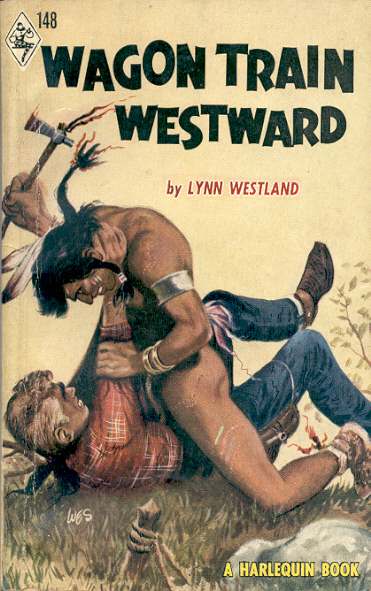 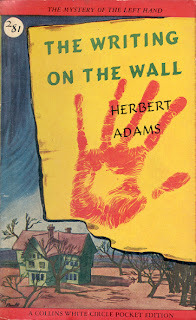 In an earlier post I discussed the early Canadian paperback artist D. Rickard and mentioned that he was one of only two artists to have worked for the big three publishers. 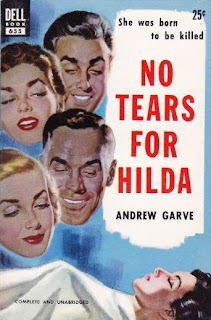 He did over 25 covers (signed and unsigned) each for Harlequin and Export Publishing Enterprises but only one signed for Wm. Collins Sons & Co. Canada's White Circle line. 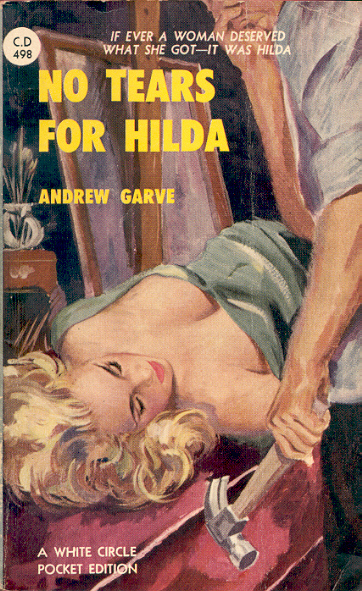 There is one other that is likely his work.